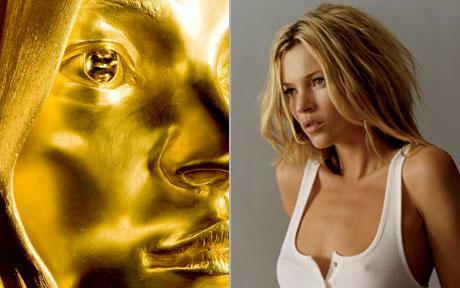 British sculptor Marc Quinn is about to unveil the golden sculpture of celebrity, Kate Moss, 34, as part of the Statuephilia exhibit at the British Museum. Entitled Siren, it is reportedly the largest golden sculpture created since ancient Egypt. However, the ‘solid’ gold sculpture is actually hollow, weighing exactly110 pounds (50kgs). Moss’s modern ideal beauty is immortalized and will be on display among statue of ancient goddesses like naked Aphrodite and Venus. 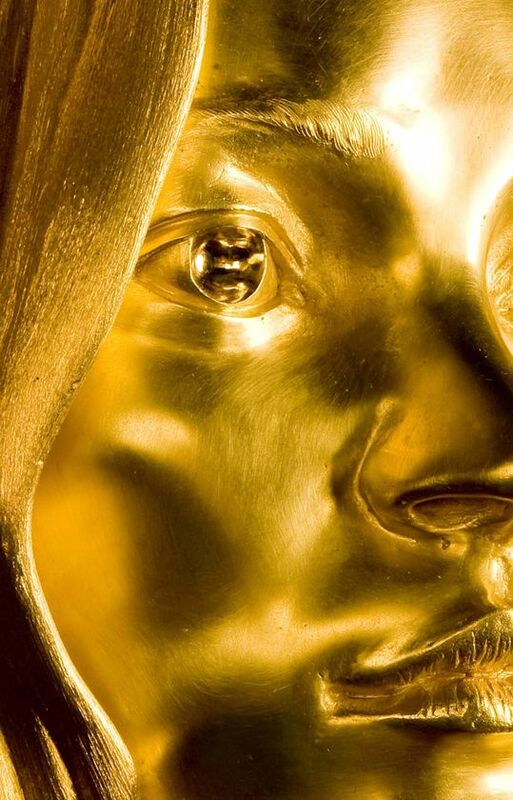 Quinn remarked, “I thought the next thing to do would be to make a sculpture of the person who’s the ideal beauty of the moment, but even Kate Moss doesn’t live up to the image.” At the moment, the British Museum has revealed only a teaser image, therefore only a glimpse of the statue’s face is publicized. Following the similar theme of his previous Kate Moss-series Sphinx show, held in New York last year, covered by Art Observed, Moss will be captured in a seemingly uncomfortable yogic pose. Marc Quinn, represented by Mary Boone Gallery in New York, is recognizable in part for the shocking sculpture of his head made from eight pints of his own frozen blood that was featured in Saatchi’s Sensation exhibit. He also created the sculpture, Alison Lapper Pregnant, which was exhibited on Trafalgar Square’s fourth plinth for 20 months. Quinn explores the notion of mortality, beauty, and divinity. Siren is priced at £1.5M, or $2.8M, and will be on display at Nereid Gallery of the British Museum as a central piece of Statuephilia Collection from 4 October until 25 January. This show will feature works by other leading British artists. Damien Hirst, who contributed Cornucopia , a sculpture made up of 200 plastic sculls will be on view at Enlightenment Gallery, and Antony Gormley’s Angel I will be greeting the visitors at the Front Hall. Statuephilia project is also subject to a documentary by British Channel 4 called The Sculpture Diaries. This entry was posted on Tuesday, September 2nd, 2008 at 2:56 pm	and is filed under Art News. You can follow any responses to this entry through the RSS 2.0 feed. You can leave a response, or trackback from your own site.